The Durand brothers, Eric and Joël, joined forces in 1996 to devote the polycultural family business to the cultivation of grapes. The Domaine is based in Châteaubourg in the Ardèche and covers twenty hectares, with Syrah, Marsanne and Roussanne farmed over the appellations of Cornas, St Peray and St Joseph in addition to the IGP des Collines Rhodanienes. Their outstanding Viognier is farmed at an altitude of 450 metres, its south-facing granitic vineyards located above the village of Mauves. With cold stabilisation and only 20% of the must fermented in This outstanding Viognier is farmed at an altitude of 450 metres, its south-facing granitic vineyards located above the village of Mauves. 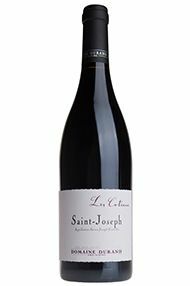 The St Joseph wine is sourced on the granitic slopes in the south of the appellation, close to Cornas and is matured for eighth months, mainly in large vats (6000 litres) but with a small percentage nurtured in cement tank. From the slopes directly behind the village of Chateaubourg, this is a delicious Syrah; fresh, pure and expressive. Red berry fruits dominate, with hints of black pepper and blueberry adding resonance and texture. 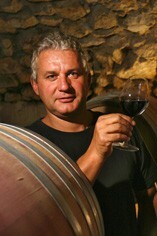 New to our En Primeur Offer, Domaine Durand has been ‘in my sights’ for several years. The engaging and highly competent brothers Joel and Eric are based in Chateaubourg just to the south of Mauves. They farm nine hectares of St Peray, seven in St Joseph and 19 in Cornas , where they belong firmly in the vanguard of the village’s much lauded jeunesse dorée….their philosophy favours later harvests, which , they advise with a smile, allows nature to ‘do more of the hard work’!